Amy Stewart, ed. Tim Folger, series ed. "Science writers get into the game with all kinds of noble, high-minded ambitions. We want to educate. To enlighten," notes guest editor Amy Stewart. "But at the end of the day, we're all writers.... We're here to play for the folks." 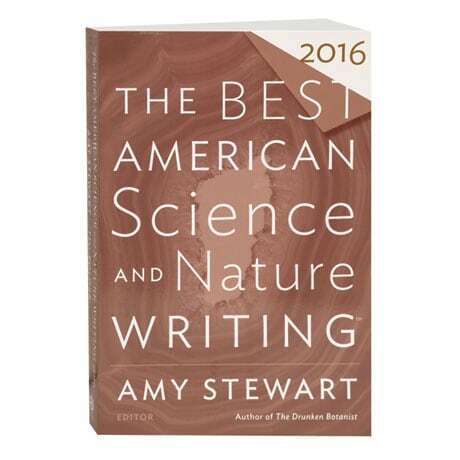 From a Pulitzer Prize-winning essay on the earthquake that could decimate the Pacific Northwest to the astonishing work of investigative journalism that transformed the nail salon industry, here are 25 pieces on the wonders, dangers, and oddities of scientific innovation and our natural world, from writers like Gretel Ehrlich, Elizabeth Kolbert, Charles C. Mann, Sarah Maslin Nir, Oliver Sacks, and Kathryn Schu.